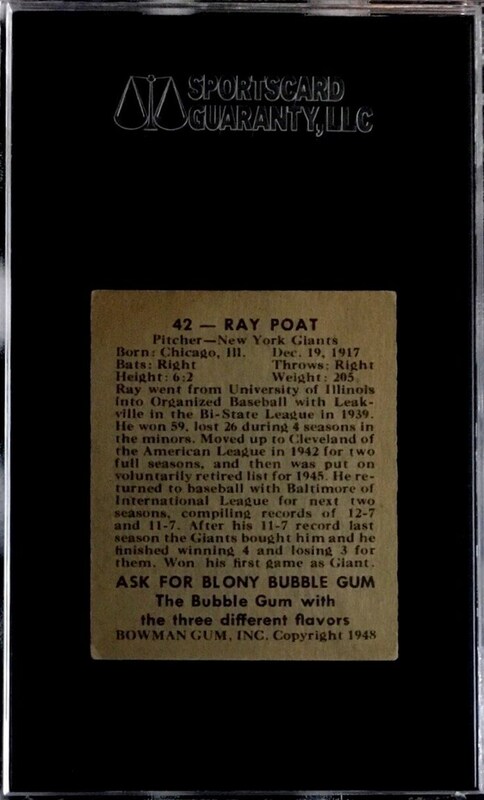 Up for your consideration is a 1948 Bowman #42 Ray Poat card. Poat played six years in the Major Leagues. 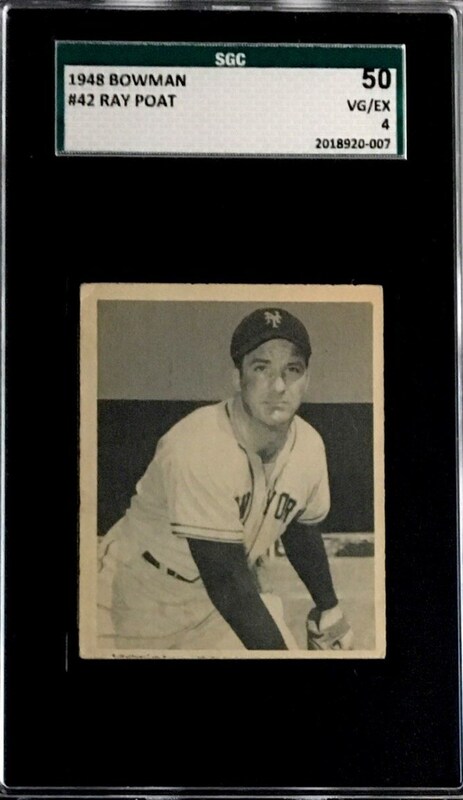 The card has been graded a 50 by SGC.